Celebrate the Irish spirit this St. Patrick’s Day by thinking green—which is easy to do on St. Patrick’s Day. Not only can you sport your favorite green shirt while feasting on corned beef and cabbage and drinking green-colored beer, you also can include some cannabis in your day. Make potent flower strains your theme on this special day. It’s the most basic cannabis product and deserves to be the focus of your attention. Not only does high-quality cannabis bud come in every shade of green imaginable, it sets the perfect mood for a festive St. Patrick’s Day celebration. There’s no denying that St. Patrick’s Day is a holiday known for heavy drinking. Fortunately, cannabis pairs well with alcohol, and there are even infused beers and wines on the market. St. Patrick’s Day provides a wonderful opportunity to provide your fellow partygoers with Irish-themed drinks as well. Stock an assortment of Irish Red Ale, which is a brew style known for pleasing, sweet maltiness that doesn’t have the prominent bitter hops some people dislike. Red ale has more universal appeal than many beers, so it makes a good choice. Since there is still a chill in the air on St. Patrick’s Day, some people appreciate a good dark brew, and a Guinness will meet with their favor while still maintaining an Irish theme. For the nonbeer drinkers, make some Irish Car Bombs. This potent cocktail is sort of like a boilermaker on steroids and is sure to kick off any party with a bang. Pour the Irish Cream into a shot glass and top it with the Irish Whiskey. Pour the Guinness into a tall pint glass and allow the foam to settle. Drop the shot glass with Irish Cream and Irish Whiskey into the Guinness pint glass and consume quickly. Drinks aside, the real focus of your St. Patrick’s Day will be cannabis! 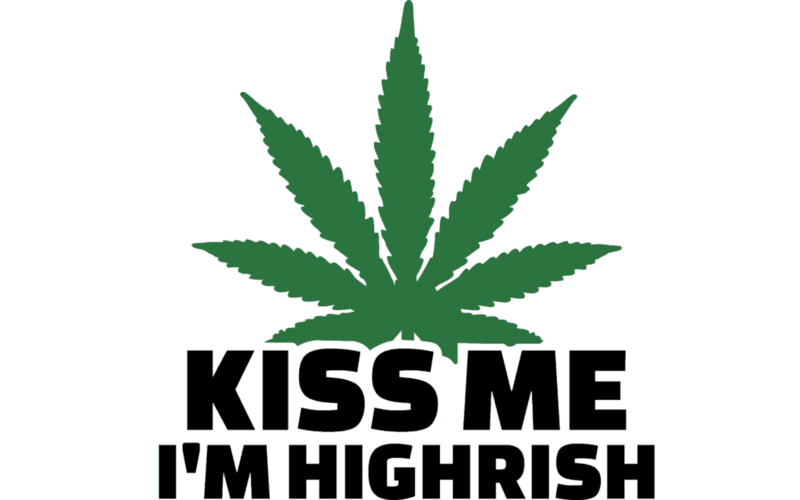 Fortunately, cannabis flower allows you to maintain an Irish theme if you plan accordingly and locate some appropriate strains. If you live in a state where cannabis legal, most likely you won’t need the luck of the Irish to find some good ones. Make it fun for your party guests by stocking up on one or more of the strains listed below. They will provide an extra layer of fun by remaining true to the Irish theme and all things green on this St. Patrick’s Day. If you’re a party guest and not the host, everyone will be thrilled to see what you brought to the party if you’re packing one of these strains. They cover the gamut from sativa, indica and hybrid, so one or two of them will meet with approval among the partygoers’ present. The strains included here were not only selected for their clever names that fit the St. Patrick’s Day spirit but their upbeat sativa effects are appropriate on this special day. A rollicking St. Patrick’s Day party can rage on into the wee hours, so no one wants to get stupefied and lethargic when in evening party mode. No, these strains will keep party guests happy and social. They may be exactly what you need to set the perfect tone for fun and merriment. This fruity-and-spicy American strain is a hybrid with a balanced high that promotes an upbeat demeanor. Although a hybrid that provides a certain level of calm relaxation, it also is known to induce a state of edginess and anxiety in some, so those who prefer indica may want to proceed with caution when imbibing in the Four-Leaf Clover. The genetics of this strain are unknown, so it’s difficult to guess the overall effects based on lineage. Don’t let the name of this one fool you. While it’s definitely green, the “crack” part can have negative connotations for many people. Most likely, the only reason it’s even in the name is a reflection on this strain’s powerful sativa effects when smoked. Green Crack is sure to keep any St. Patrick’s Day upbeat and energized, and the sweet tropical fruit flavor will please all who partake. A popular and powerful strain, Green Goblin is thought to be an elite phenotype of Green Crack. Although the flavor of Green Goblin seems to have something more. A pungent overall aroma with the presence of diesel-like notes make it memorable. Its genetics are said to include Skunk #1, which no doubt helped stabilize Green Goblin into what we know it as today. What better strain choice could you pick for St. Patrick’s Day than Lucky Charms? While it may not invoke leprechauns like the breakfast cereal with the same name, Lucky Charms does have a pleasing sweet flavor of fruit. This potent hybrid is a product of Bodhi Seeds, created by crossing Appalachia with The White. Its effects are balanced and allow for fun and social interaction. When you cross two classic strains to create something new and different, good things usually result. Such is the case with Green Dream, a cross between Green Crack and Blue Dream. Although a hybrid, the effects are all sativa. It’s earthy sweetness when consumed result in an upbeat and energizing high that is perfect for a party atmosphere. When the party winds down, Green Dream settles into feelings of deep relaxation. A top strain from the talented team at DNA Genetics, Martian Mean Green combines Sharksbreath and G13 Haze, and any feelings of stress will slowly melt away after tasting this monster of a strain. The terpenes of Martian Mean Green are pungent and notable for their uniquely dank citrus flavor. With a name like Martian Mean Green, you expect big things, and this strain delivers. Candy Kush and Green Crack combine to deliver a decidedly sativa experience. Like some of the other strains on this list, Green Candy promotes happiness and feelings of good will, so it makes a great party accoutrement. There’s also a relaxing quality that provides a pleasing balance to Green Candy’s otherwise cerebral and motivational euphoria. Its spicy and sweet flavors make Green Candy a tasty treat that any cannabis lover should enjoy. This release by Mighty Irish Seeds has dominant indica genetics and, as its name implies, a smooth and sweet flavor. Since it’s known for being extremely relaxing, it may be a good idea to reserve some Irish Cream for later in the evening when things are winding down. The buttery, earthy flavors are sure to impress those appreciate something unordinary. As you may have guessed from its name, Green Queen is a hybrid that was created by crossing two industry standards. Green Crack (yet again) and Space Queen produce a strain with the sativa qualities you would expect, but without being overly racy. Its pungent sweet and skunky aromas provide a tasty flavor. This is a happy strain that boosts the mood of those who smoke it and allows conversation to flow freely. With a little bit of planning, this year’s St. Patrick’s Day party, regardless of whether you’re the host or a guest, can have a green theme that’s fitting for both the holiday and the cannabis party favors you share. The presence of cannabis green will send everyone home with a smile.